Yen is an Executive Director at Goldman Sachs Australia. She provides business intelligence on financial services, consumer retail, technology and natural resources as well as contributing to some of the largest cross-border mandates. She also leads and manages data analytics projects in the Australia & New Zealand region. Born and raised in Hong Kong, Yen developed strong ties to Australia whilst travelling around the country on a working holiday visa at the age of 20. She went back to Hong Kong and later joined Morgan Stanley, helping clients in China and Southeast Asia raise capital via overseas listings and mergers. Yen migrated to Australia amid the mining boom in 2012. She helped C-suite executives in banks, metals & mining and oil & gas companies use data-driven insights to find acquisition targets and accelerate inorganic growth. This has equipped her with a broad set of skills, cultural sensitivity and exposure to different markets. She takes a particular interest in leveraging her knowledge and networks to facilitate Australia-China economic and cultural exchange. Yen holds a Bachelor of Business Administration with a double major in Finance and Marketing at the University of Hong Kong. Josephine Macmillan has just completed a dual Bachelors of Laws and Arts at the University of Queensland. With an extended major in Art History and electives in French and Chinese, Josephine is passionate about languages and the arts and the roles they have to play in more meaningful cross-cultural engagement. After being awarded the Westpac Bicentennial Foundation Scholarship for Asian Exchange in 2016, Josephine spent time traveling rural China and teaching English before spending a semester studying Law and Chinese at the Chinese University of Hong Kong. She went on to intern with King and Wood Mallesons in Shanghai and to spend a further semester focusing on Chinese at Peking University in Beijing. As Managing Director of the Australia-China Youth Association (ACYA) in 2017, Josephine has enjoyed working with many of the incredibly talented and driven young people that the Australia-China space attracts. This year, she is looking forward to commencing as a graduate lawyer with King and Wood Mallesons in Brisbane while contributing to further enhancing the bilateral relationship with the ACYD team. Liam is a macroeconomics research student at the University of Western Australia under the Bachelor of Philosophy (Honours) programme, specialising in foreign direct investment. Liam was previously the New Colombo Plan China Fellow (2017) and Westpac Bicentennial Foundation Asian Exchange Scholar (2018) – and completed placements at the Australian Embassy, Beijing, and United Nations Capital Development Fund in Yangon, Myanmar. Liam curated the Australia-China Emerging Leaders Summit (ACELS) in Beijing (2018) and Shanghai (2019) and served as China Manager of the Australia-China Youth Association in 2018. Liam lived in China for three years with stints in Beijing, Shanghai and Hangzhou and comes from a Singapore-Irish background. Yifan is currently undertaking a Master of Management (Accounting and Finance) at the University of Melbourne. While studying a Bachelor of Commerce at the University of Newcastle (UoN), Yifan found her passion in Sino-Australian relationship. Her community achievement was proudly recognized by UoN as 2016 Global Citizen Award Winner. Yifan has experience working in both financial services industry and non-governmental organizations, such as Corpus Prima Mandiri Jakarta and AustCham Beijing. In 2018, she was elected as the National Treasurer for the Australia-China Youth Association (ACYA). Yifan is a strong advocate for gender equality and cultural diversity. Seeing herself as the beneficiary of international education, she aspires to support more female students to develop their skills and raise their voice. This motivated her to co-found the ACYA Women’s Network, a launching pad for women to grow, lead and empower each other. Her exchange experience in US, Thailand and Indonesia has further strengthened her cross-cultural communication and made her understand the active role youth play, which was featured on multiple media such as Lowy Institute and People’s Daily. 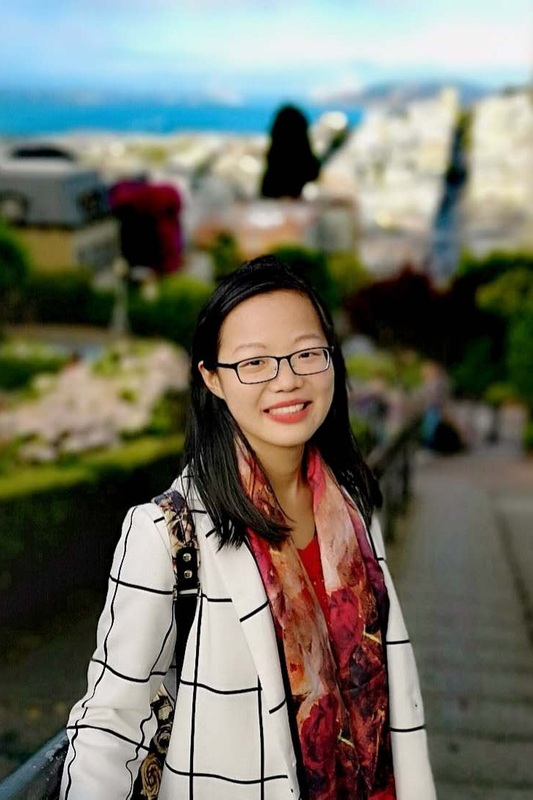 Joining ACYD in 2019, Yifan is enthusiastic to enhance the Australia-China bilateral relationship through intercultural development of young professionals and use her experience to support the finance team. Nicholas Brandimarti is an internationally travelled leader currently pursuing a dual Degree in a Bachelor of Commerce and International Studies majoring in Chinese Language and Marketing at Deakin University. In the past five years Nicholas has successfully completed multiple stints living, working and studying in China. His passion for China originates from his first Chinese class in high school in 2008. After being awarded the Australian Department of Foreign Affairs New Colombo Plan Scholarship In 2016, Nicholas spent 12 months in China studying Mandarin at Shanghai University. During his studies Nicholas interned at China Checkup an Australian consulting firm. Passionate about Chinese digital media and cross cultural marketing Nicholas hopes to pursue an international marketing career in China after graduation. Joining ACYD in 2018 as Social Media Associate, Nicholas is looking forward to playing a positive role in strengthening the Australia-China relationship and promoting cross cultural development between young professionals in the Aus-China space. Amber Ziye Wang is the Senior Public Diplomacy Officer at the Australian embassy in Beijing. A former journalist and researcher, Amber found her passion for China-Australia relations when she was an international student in Melbourne. After seeing fellow Chinese students passing through the system without sufficiently engaging with the local community, she was inspired to take part in change via writing. Starting her career covering the Chinese Australian diaspora for Chinese-language media, she has since reported for many publications on China including the Washington Post and Bloomberg, and has conducted research for the Australian Strategic Policy Institute on China’s digital censorship against foreign governments including Australia. Also a part of the Australia China Youth Association in Beijing, she is deeply passionate about youth engagement and a strong advocate in the areas of media and education. Amaryllis Tian is a lawyer at King & Wood Mallesons, a multinational law firm headquartered in Hong Kong. Amaryllis is based in Australia, and is currently on secondment in Hong Kong. She holds a dual degree in Law and Commerce (majoring in Finance) from the University of Queensland. Amaryllis grew up in New Zealand and Australia, but has family roots in Beijing and Shanghai. Amaryllis speaks Mandarin, English and French (and is currently learning Cantonese), reflecting a passion for learning languages and for learning about other cultures. With this background, she has developed a strong interest in cross-cultural dialogue, especially through politics, news media, pop culture and the arts. While studying, Amaryllis interned at De He Heng Law Firm and Liuming Law Firm in Beijing as well as King & Wood Mallesons in Brisbane. Having joined the graduate program at King & Wood Mallesons last year, Amaryllis has helped to drive a number of cultural diversity and community engagement initiatives within the firm and has been involved in corporate and tax advisory work, acting for Australian and international clients. Amaryllis is excited to join the ACYD Associate Team in 2019 and hopes, through her involvement, to create greater linkages between members of the ACYD alumni network in order to foster greater opportunities to collaborate, engage and progress in the Australia-China space.